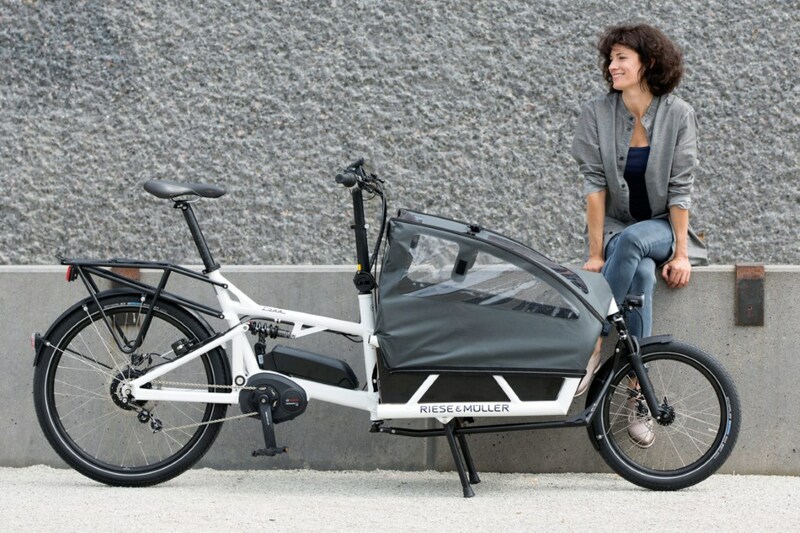 eCargo Bike Grant Fund | Buy Riese & Muller Cargo Bikes Cheaper! eCargo Bike Grant Fund: Cheaper Riese & Muller Cargo Bikes! ‘eCargo Bike Grant Fund’ the whereby eCargo bikes can be purchased at a heavily discounted price. As a result, there are huge savings to be made! Through their green initiative, the DfT have made available £2 million of funding to support the use of eCargo bikes here in the UK. It’s available to limited companies, sole traders, partnerships, charities and not-for-profit organisations. In addition, public, community or third sector organisations are also eligible providing they meet the eligibility criteria. eCargo bikes are a great way of transporting all sorts of items without the huge expense of petrol or diesel vehicles. Prestigeous brand Riese & Muller offer a wide variety of eCargo bikes and load carrying options. Additionally, they’re all powered by strong Bosch engines for outstanding performance and reliability! Also, they’re a much more environmentally friendly means of transportation as well as being a far cheaper alternative! eCargo Bike Grant funding covers up to 20% of the total cost of an eCargo bike, up to a maximum of £1,000 per bike. To be eligible for funding, an eCargo bike must have a minimum of 125 litres of cargo volume capacity. Also, the rules state a minimum weight capacity of 130 kg (combined rider and cargo weight). The application process is simple and is available online. As the UK’s premier dealer of Riese & Muller ebikes, OnBike in Worcester can supply ALL ebikes within the Riese & Muller range, INCLUDING eCargo Bikes. See the range of Riese & Muller eCargo bikes. See our range of non-cargo Riese & Muller eBikes.